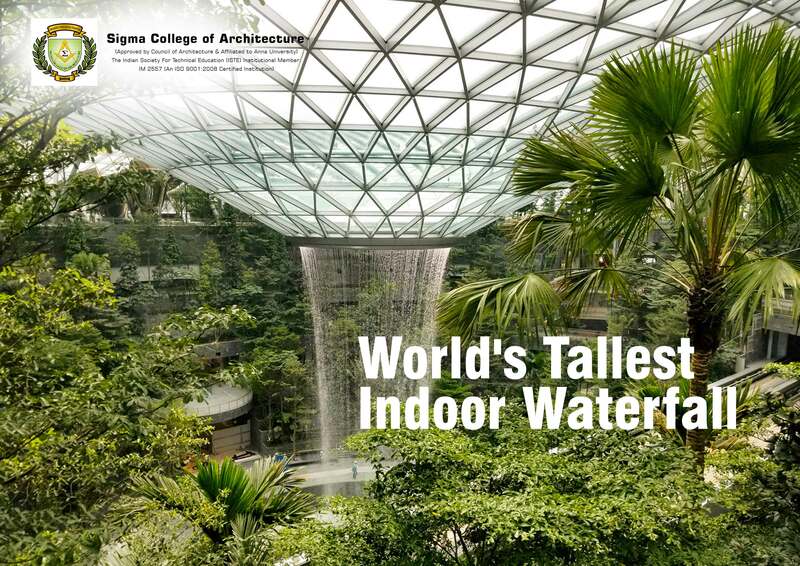 Safdie Architects, founded by Israeli-Canadian Architect Moshe Safdie in 1964 has designed the world's tallest indoor waterfall at the soon-to-open Jewel Changi Airport, Singapore. The glass and steel bagel-shaped roof spans more than 200 metres and has been designed to funnel rainwater at a rate of 10,000 gallons per minute. This has been designed under the light that Singapore experiences frequent thunderstorms. The design also creates a climate-controlled indoor forest. The terraces are filled with 200 species of plant in an area called the Forest Canopy which surround the waterfall and also enables the visitors to walk along by equipping trails along it. The entire five stories of the Jewel Changi Airport building will be filled with shops and restaurants, with an indoor park on the fifth level. The technology to create a retractable roof that's compatible with indoor air conditioning isn't available yet, said the designer.